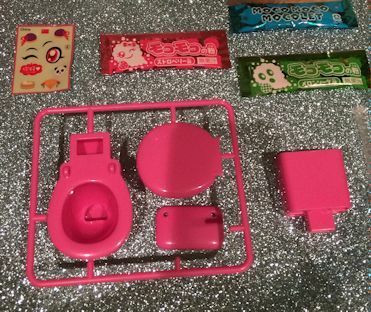 Each of the premium (aka, biggest) boxes comes with a DIY candy kit. 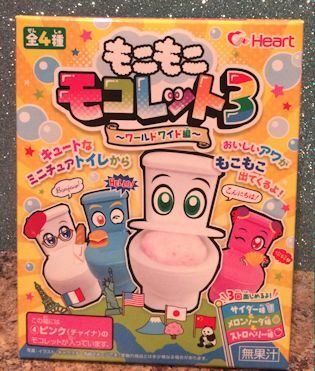 The DIY kits cover a range of activities, from making common things like chocolates, gummies, or hard candies to more unusual things like mochi or…foaming toilet candy. This kit was pretty straight forward, with little preparation required. 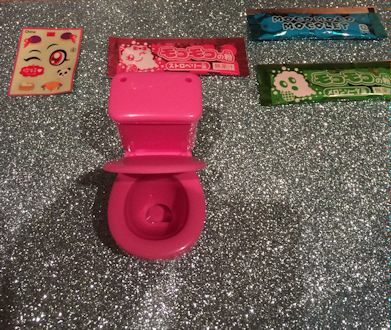 Each one comes with a randomly colored toilet, a set of decorative stickers, and three pouches of candy. Just assemble the plastic parts! The candy flavors included are: strawberry (pink), cola (blue), and melon (green). Making the candy is simple. 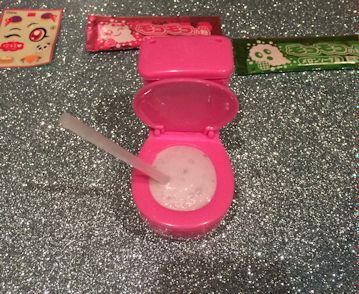 Pour one candy pouch into the toilet tank and shake to distribute evenly. After adding two lid-fulls of water, it will look like the leftmost picture below. 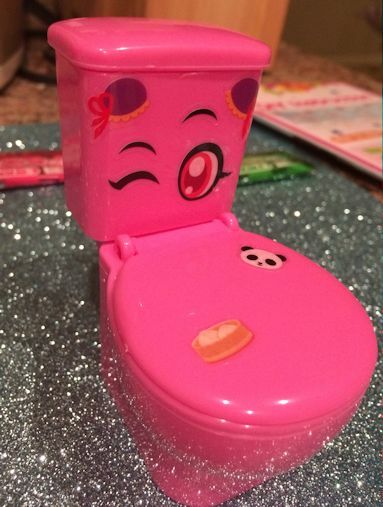 Admittedly, not too appealing at this point. Next, stir with the included tiny straw and it will react to create a yummy foam! It tends to overflow, so you have to sip the foam down to keep it from spilling out of the bowl. 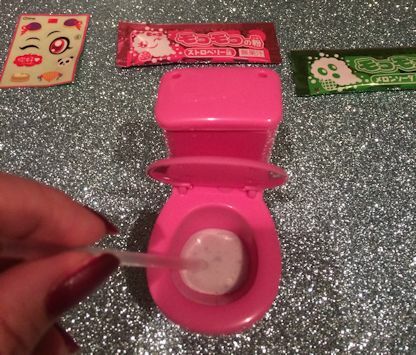 Never before has eating something from a toilet bowl been so delicious. 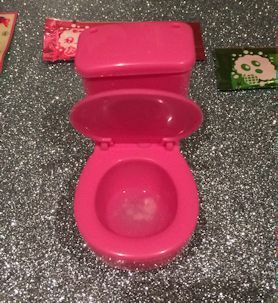 It tastes like pop rocks x 1000.